San Francisco is in for an earthshaking day on May 22 and it won’t be because of an earthquake. For the first time in the city’s and West Coast history, the hip hop giant who revolutionized mainstream music with the use of Auto-Tune, a hit-making producer-turned-recording star who just had the number one song in the country, and Korea’s superstar R&B quartet are all sharing one magical stage to perform in the coming-out concert of MYX®, America’s only Asian American music entertainment fusion and lifestyle channel. The channel was recently launched by Comcast in the San Francisco Bay Area on Channel 368 as part of the Digital Preferred Tier. The concert is aptly called, MYX MASH, combining various entertainment performances with international flavor. The much-anticipated show to be held at historic Bill Graham Civic Center Auditorium promises all fans a full-blown music, dance and style experience – a guaranteed ecstasy for the senses – with exciting opportunities for performer-audience interaction. 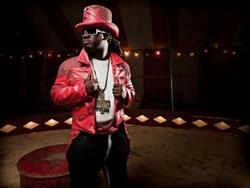 Headlining the one-of-a-kind show is no less than T-Pain who has extensively and creatively used the Auto-Tune throughout his career to much success. He has a long list of hits and awards that include two Grammys for his collaborations with Kanye West for “Good Life” and Jamie Foxx for “Blame It”. But don’t think he can’t sing without that pitch-correcting plug-in: the guy is known to break live into impressive vocal solos, accompanied by some fancy footwork. And he has a bag of treats to liven up the stage such as fire-dancers and contortionists that make for a visual feast. T-Pain’s music embraces both the old school and current R&B, but his complete persona is that of an artist unafraid of taking chances. This Floridian rapper’s new album, “RevolveR”, takes a more experimental approach and fans are waiting to see him perform his new songs live on stage. Filipino-Puerto Rican-American Bruno Mars from Hawaii – he with the signature fedora - is currently featured in two of this spring’s biggest hits: Travie McCoy’s “Billionaire” and B.o.B.’s “Nothin’ On You” which went all the way to number one recently on the Billboard Hot 100 chart. Both songs were co-written by Bruno Mars, who was known first as a songwriter-producer, penning songs for the likes of Flo Rida, Maroon 5 and Brandy. He just released his debut EP, “It’s Better If You Don’t Understand” which carries four brand new songs. While getting popular for his deeply personal songs with irresistible hooks and powerful vocals, Bruno Mars is a buoyant live performer who can keep a crowd swooning and on its feet. Catch Bruno Mars on “Dig”, the two-time NAMIC Vision Awards nominated show of MYX® that puts artists on the spotlight (http://myx.tv/video/1067/bruno-mars-on-dig). To match the energy of MYX MASH’s two super male acts is the four-girl K-pop phenomenon, Brown-Eyed Girls or B.E.G. Jea, Ga-in, Narsha and Miyo first got attention with hit R&B ballads. But as the K-pop scene evolved, so did the group’s music which leaned towards dance. In 2008, they became a household name in South Korea with the release of the upbeat, “L.O.V.E”. This was followed by their biggest hit that year, “How Come”, another dance track that topped many charts. Fans at MYX MASH though will see another shift in the image of the members of the Brown-Eyed Girls: that of the independent and ultra-chic city girls as captured in the international dance hit, “Abracadabra”, that also started a new dance craze which has been called the “Saucy Hip” move. Expect a lot of fun when the girls ask the fans to do the dance with them at the concert. MYX MASH is co-presented by Comcast and has the following for sponsors: BART, Rogen Studio, Hawaiian Airlines, Livestream, Glaceau Vitamin Water, NOS Energy Drink, tvk2, KTSF 26, California Music Channel, AsianWeek, Asian Journal, Hyphen, Inquirer.net, Viz Pictures, New People, Pacific Rim Video, Audiopharmacy, HVYRSNL, and Synergy. For more information or to purchase tickets, please visit http://www.myx.tv or http://www.cityboxoffice.com or call 415.392.4400. With its U.S. headquarters in Redwood City, California, MYX® was developed by ABS-CBN International, a US-based subsidiary ABS-CBN Broadcasting which is the largest media company in the Philippines and among the largest in Asia. MYX® is the only music entertainment and lifestyle channel dedicated to the Asian American community, utilizing music, culture and entertainment. MYX® can be seen on Channel 368 on Comcast’s Digital Preferred Tier in the San Francisco Bay Area, Comcast ON DEMAND, Cox Digital Basic Cable, DIRECTV 2067 and RCN. For more information, visit http://myx.tv.